KOMPAN | ROPE PLAYGROUND TO YOUR NEXT PROJECT? Every day for more than 45 years, we’ve thought of how we can make the ultimate experience with rope playgrounds. 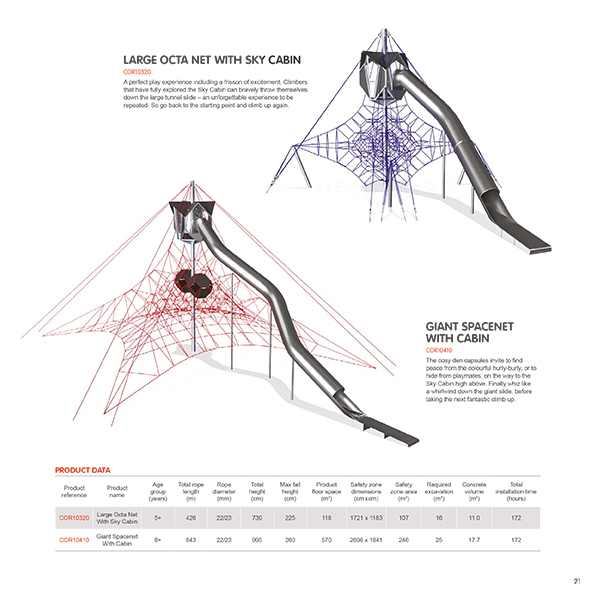 Explore our latest Corocord catalogue which includes even more rope play options than before, customisable options, prices and inspirational playgrounds from around the world. Fill out the form, and we will send you the catalogue straight to your inbox. Plus each solution can be customisable, choose from a wide selection of rope colours, shapes, sizes and play themes!